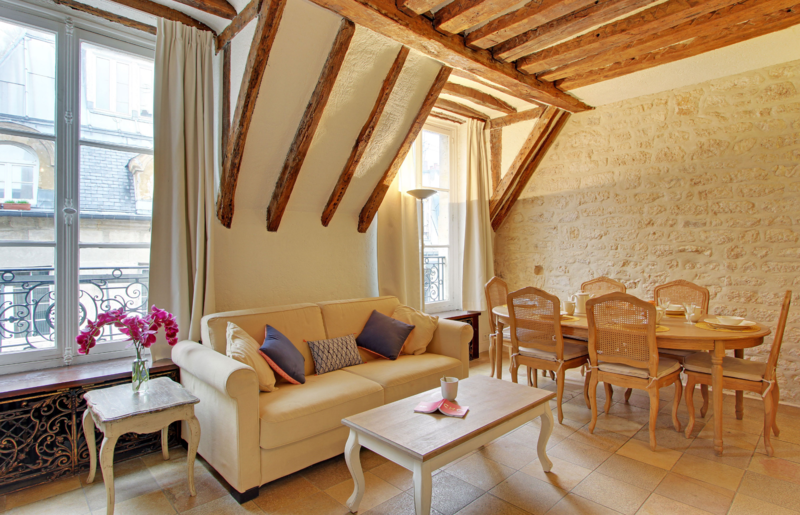 Saint-Germain is a labyrinth of fascinating streets. With the Seine River on one side and the Luxembourg gardens on the other side, the neighborhood offers countless paths to stroll. 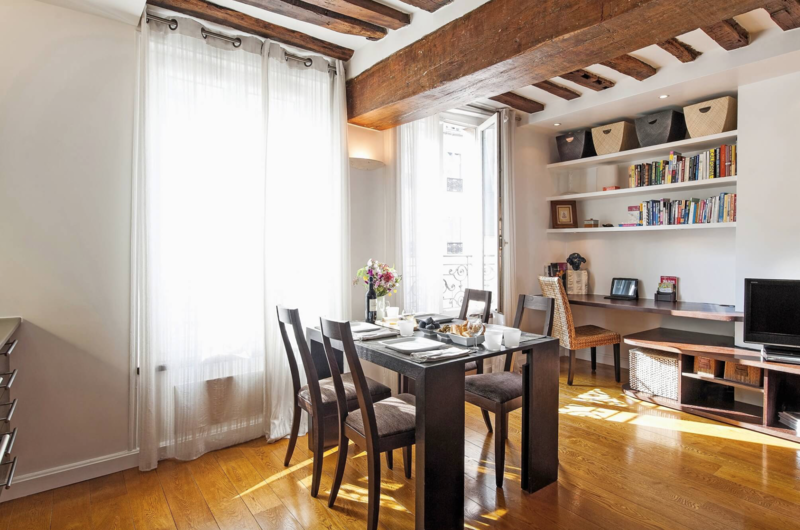 These apartments are located in a peaceful area of the Latin Quarter, popular with students from the neighbouring universities, bohemian artists and its range of bookstores, cafes, historic buidlings and and jazz clubs. Between Saint Germain and Saint Michel is the district of Odéon, where local students and tourists alike gather to get a drink, dine, and go to the movies. Key amenities offered include; equipped kitchen, burner, clock radio, coffee maker, dishwasher, dryer, electric heating, hair dryer, internet connection, iron, kettle, microwave, oven, phone, refrigerator, toaster, tv, vacuum cleaner, washer dryer, wifi, elevator, sofa bed, double bed.